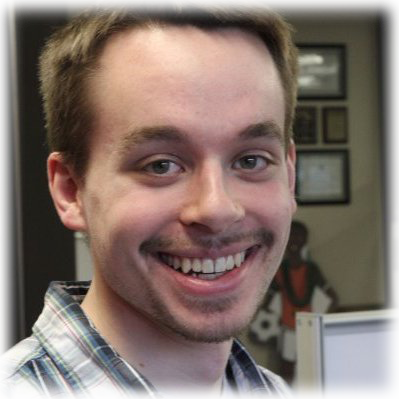 Former Emergent Media Center employee, Jason Rauck ’13 stopped by the Emergent Media Center and took some time to chat with us about his time at the EMC. The consistency really is the essence of the space and although it looks different now, it feels the same. You can go in and know exactly where you need to go, and how everyone is cooperating, and how it all fits together. Even though the EMC is always expanding it’s the same essence. That’s the most important thing. My education was great, going through classes and working on products and building games that I really wanted to work on. Having worked at the EMC gave me the other side of that. Now I am able to create a product for somebody else and I need to give them the tools that they need to be able to accomplish their goals like the EMC did for me. That was a prelude into the consultant term, so now that I’m a tech consultant, that role has been defined by my experiences in this building. Jason currently is a Game Designer, Senior Consultant at Booz Allen Hamilton. He received a Bachelor’s Degree in Game Design degree from Champlain College.